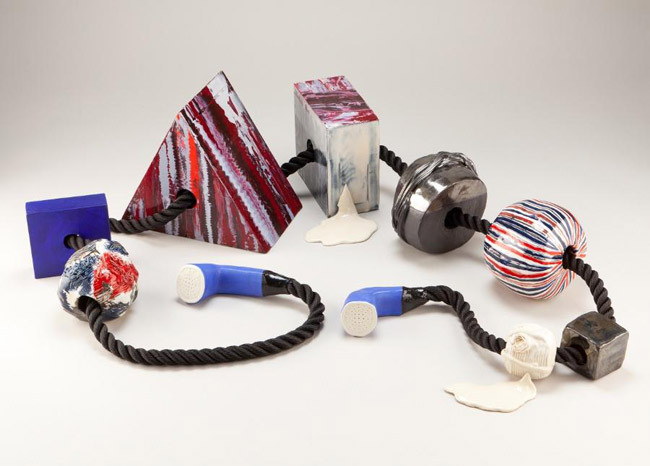 GARBOUSHIAN GALLERY is pleased to present Past Present Future: Connect, an exhibition of new works by Portland-based artist Emily Counts. This marks Counts’ first solo exhibition with the gallery. 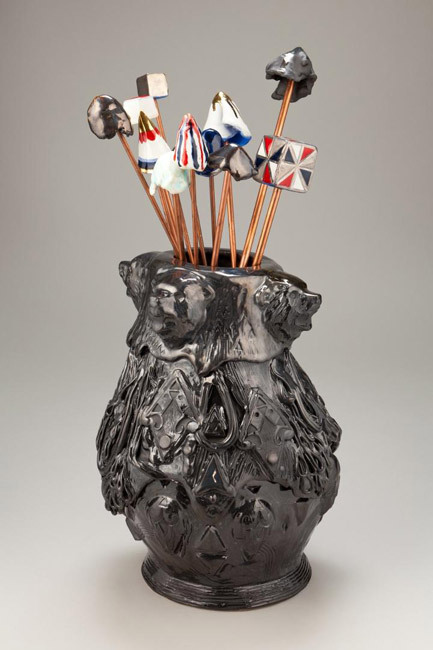 In this exhibition, technology from the past, present and future is examined in acknowledgement of a time when new inventions and scientific ideas were perceived as magic or a product of the occult. 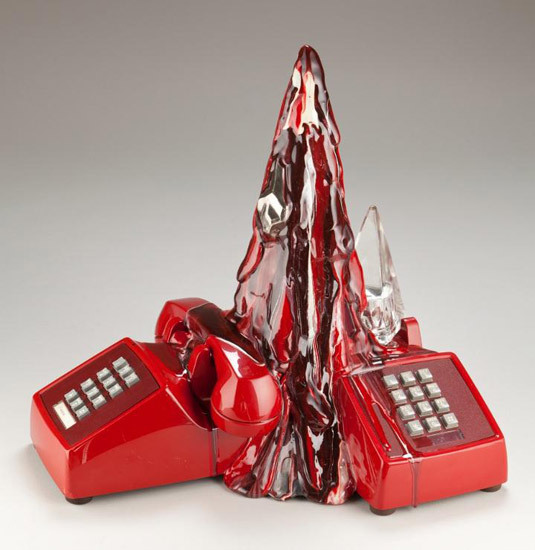 Counts’ work consists of sculptures that represent machines and technological inventions relating to communications, such as a computer, fax machine, answering machine, and various push button and rotary telephones, as well a series of robot heads that look into the future. The sculptures speak of mysticism more than science and engineering, as their fluid surfaces drip and shift. 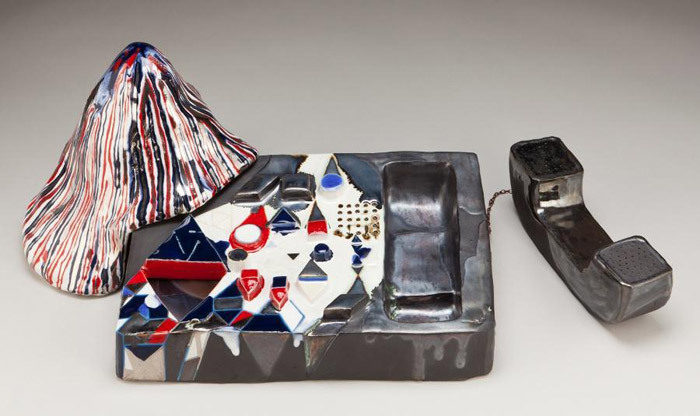 Most of Counts’ pieces depict common or outdated household devices, yet their altered forms and surfaces more accurately suggest a metaphysical purpose. In truth, these devices would be impractical or impossible to use for communication. 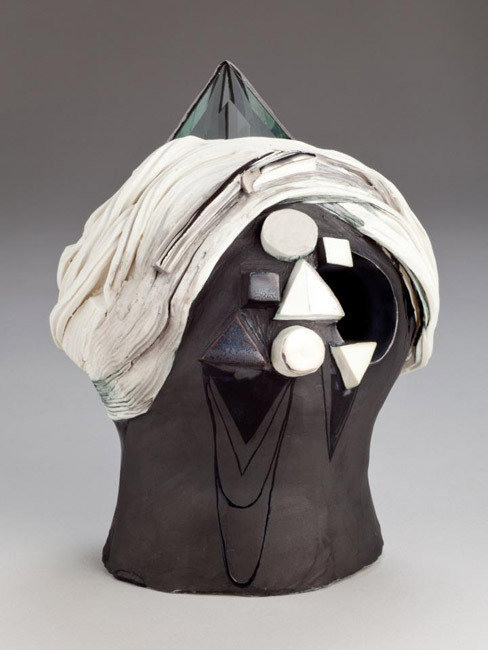 Counts’ sculptures pair clean geometric shapes with glazes that have been allowed to bleed and run together. 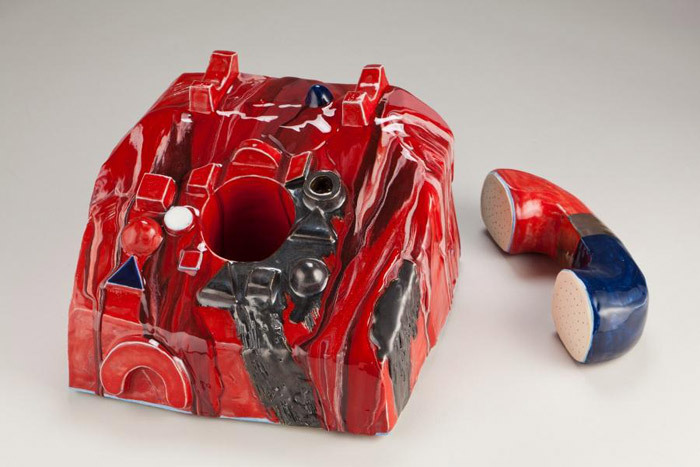 Other sculptures are coated with layers of translucent and colored epoxy resin, which give them a melting or wet appearance, implying movement. 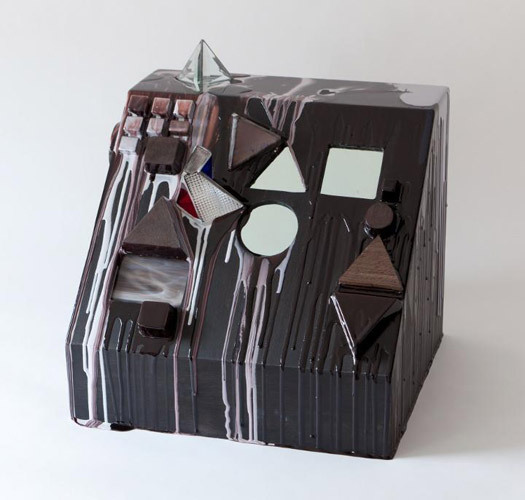 Several sculptures are electrically illuminated from within, emitting light through resin and glass, or revealing hidden interior spaces behind a two-way mirror with the press of a button. 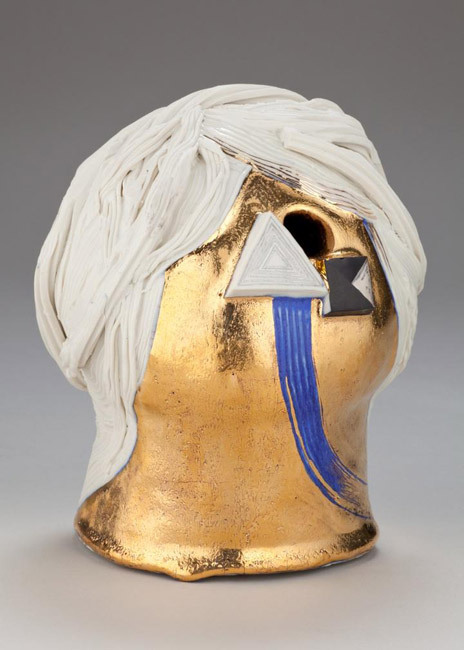 The series of Robot Heads, symbols of new and future technology, also nod to the past as they were created out of porcelain, metallic luster, and glass—materials that are reminiscent of an era of careful craftsmanship. They express both anxiety about our speed of progression into the future, and optimism that beauty can be found there. 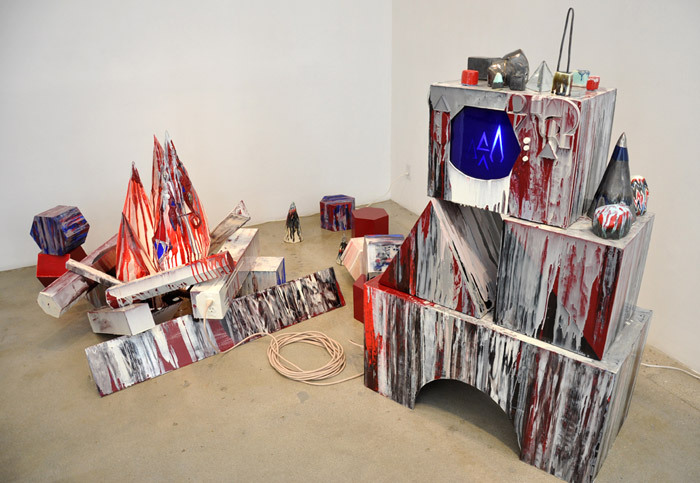 The central piece for this exhibition is the Campfire Machine installation. 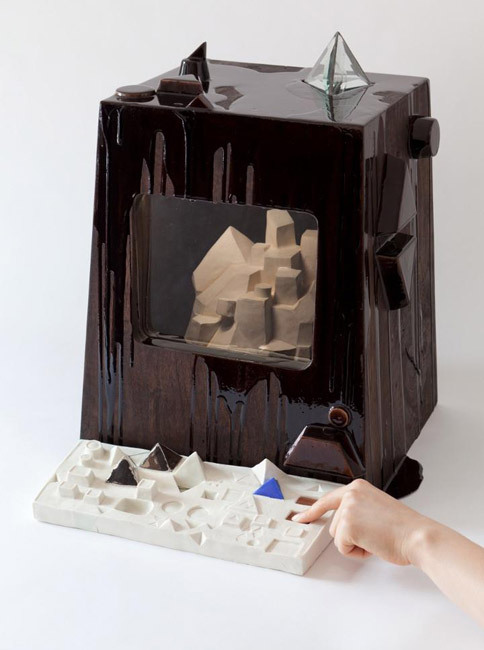 It consists of a Campfire sculpture with logs and a glowing flame that is “plugged in” with electric cord to the Machine. This machine structure resembles a TV or computer monitor stacked on top of large geometric blocks. The monitor displays a flickering fire image as it attempts to imitate the movements of a flame. It seems that the machine is trying to understand the nature of the campfire—its purpose, materials, and how it works. Fire was one of humanity’s earliest and greatest telecommunications inventions, changing history by allowing humans to communicate with smoke signals, and thus migrate, expand and thrive. The Campfire Machine installation draws a relationship between this symbol of ancient innovation and the modern day progression of computer science and artificial intelligence. Emily Counts lives and works in Portland, Oregon. She has a BFA from the California College of the Arts, and also studied at the Hochschule der Kunste in Berlin, Germany. Counts has exhibited in New York, Los Angeles and Tokyo. 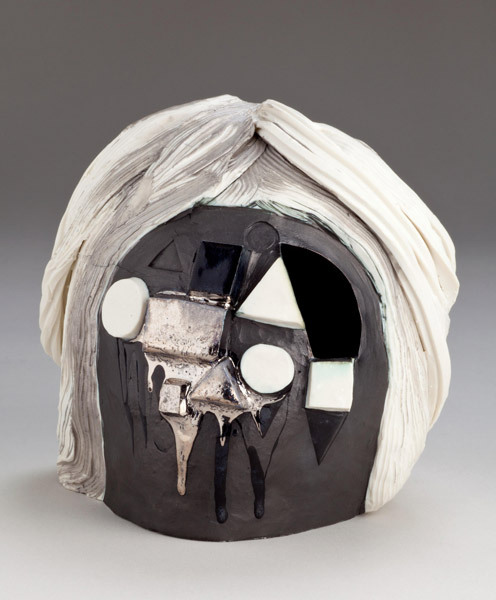 In 2012 she received grants from both the Oregon Arts Commission and The Ford Family Foundation. 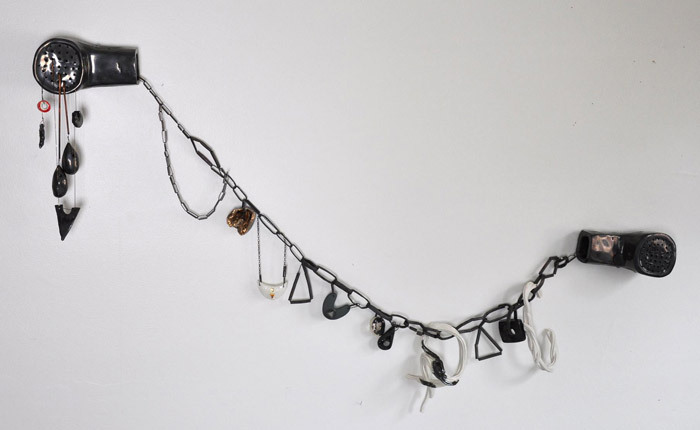 An opening reception for Emily Counts will take place on Saturday, May 12, from 6:00 to 8:00 pm. The exhibition will remain on view until June 16, 2012.